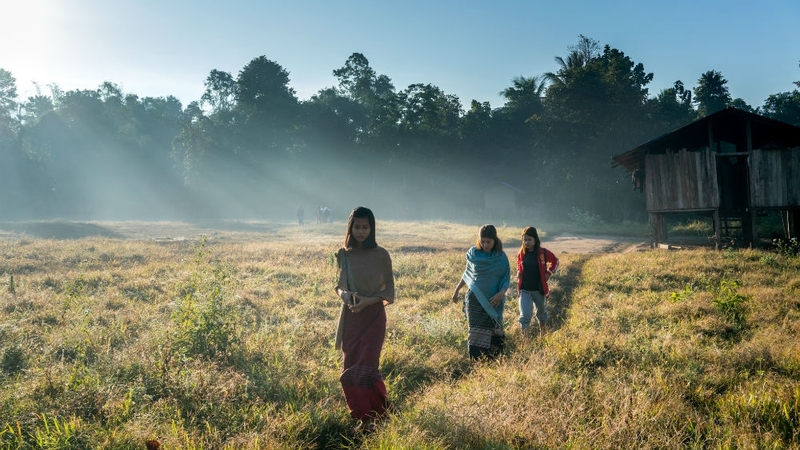 Mutraw, Myanmar – With a Myanmar government-backed peace process in deadlock, ethnic Karen political leaders and activists have declared thousands of square kilometers of land a “peace park” and the Karen people its rightful custodians. The Salween Peace Park, which was “established” last month in eastern Myanmar’s Kayin (Karen) state where the Karen National Union (KNU) has long fought for autonomy, is the culmination of years of grassroots efforts aimed at preserving indigenous traditions and culture, among others. The central Myanmar government in Naypyidaw, however, has not acknowledged the park’s existence as a “people-centred alternative” to militarisation and mega-development in the Salween River basin. “The [Myanmar] government should realise that if they want to control everything in this country, the resistance will always continue … it will never end,” Saw Alex, deputy director of the Karen Environmental and Social Action Network (KESAN), one of the park’s major supporters, told Al Jazeera. The Karen rebellion along Myanmar’s eastern border, marked each year on January 31, has been going on for 70 years. The Karen, a community of up to six million, see the Myanmar military as an invading army without historical claim to the territory. The exact number of ethnic nationalities in Myanmar is contested, with estimates that they comprise at least one-third of the total population of some 55 million – and likely more. These communities have been disproportionately affected by decades of military rule and fighting, which began shortly after the country became independent from Britain in 1948. The KNU was one of a minority of ethnic armed groups -10 out of more than 20 in total – to sign the so-called Nationwide Ceasefire Agreement (NCA) with the government and the military in 2015. Yet the NCA has failed to stop the fighting. Citing a lack of consensus on the key political issues with the military and the government, headed by Aung San Suu Kyi, the KNU suspended its participation in the peace process last October. In 2018 alone, government forces clashed with the KNU’s armed wing, the Karen National Liberation Army (KNLA), some 60 times, according to local media reports. According to Sai Wansai, an ethnic Shan political analyst, the breakdown of the peace process can be traced back to the flawed agreement which the KNU leadership “hurriedly” signed. The current stalemate “is what the signatory ethnic armed organisations are getting in return”, he told Al Jazeera. Amid the disappointment of state-led peace efforts, the 5,485sq km Salween Peace Park is a protected area encompassing nearly all of Karen State’s Mutraw District in the Salween River basin, an area of significant biological diversity. The region is administrated by the KNU, not the central Myanmar government. 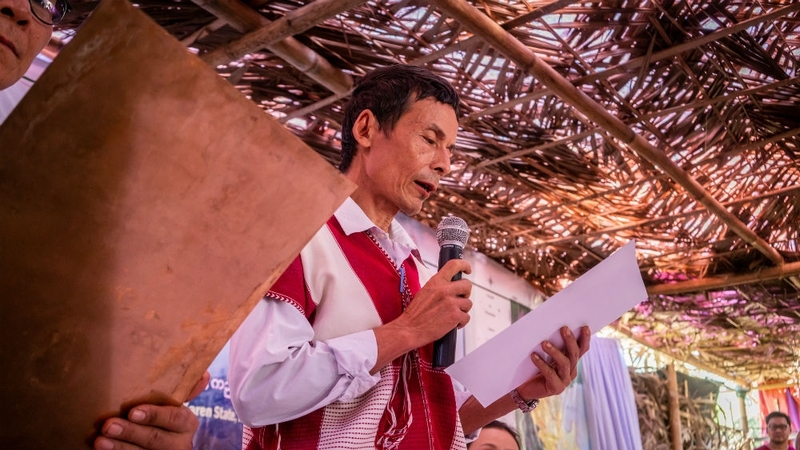 After years of community consultations with thousands of local households, an official charter recognising the land as a peace park was endorsed by three-quarters of Mutraw’s population and ratified by the KNU and civil society in December 2018. Known locally as “Constitution of the Salween Peace Park”, the charter formalises the Karen people’s right to pursue traditional livelihoods in the Salween River basin and identifies them as the custodians of its forests, water sources and diverse wildlife. Civil society, the KNU, and the park’s central committee say the charter will be the foundation for the rules and regulations to protect the park. Myanmar government spokespeople did not return Al Jazeera’s calls for comment on the peace park and have not publicly recognised the initiative. Analyst Sai Wansai said he is concerned authorities in Naypyidaw “won’t tolerate such demarcation from the … ethnic nationalities, whether be it Karen or otherwise”. In the face of the silence from the Myanmar government, whose spokespeople did not return Al Jazeera’s calls, D Gay Junior, the chairperson of the Salween Peace Park central committee, said the authorities “should recognise, respect, and value” this type of initiative. It is the right of every ethnic group “to maintain their culture and traditions and way of life”, he explained. KESAN’s Saw Alex described the Salween Peace Park as a testament to the Karen capacity to manage their own land, and that Myanmar’s government should take note. “We are showing that this is peace – by the people, from the people,” he said. According to KESAN, there are more than 180 peace parks worldwide. What differentiates them from national parks is that it’s the community itself that leads the protection of both local cultural heritage and fragile ecosystems. This is no small feat in Mutraw, an active conflict area that has seen increasing militarisation and decades of fighting over the control of resources and territory. Major military offensives since the 1990s have led to thousands of villagers being displaced in the district, as well as communities destroyed, and land confiscated. In April last year, Myanmar’s military began to build a road connecting two bases in the area, a move that the Karen described as a violation of the NCA. The resulting offensives by government troops forced more than 3,000 villagers from their homes. Among the casualties of the violence was Saw O Moo, a Karen environmental activist and longtime advocate for the Salween Peace Park. He was shot by government soldiers while driving a motorcycle to a community discussion. Only the backpack he carried – not his body – was returned to his family. In early 2019, the military resumed construction of this same road and reportedly fired mortar shells near local Karen communities, triggering skirmishes with the KNLA. With the recent designation of Mutraw as a protected area, the KNLA’s General Baw Kyaw Heh – a longtime peace park backer – said the Myanmar government should withdraw its troops from the region. “If we respect each other, we can live peacefully in our own territories, with dignity. We don’t have to fight. We don’t have to kill each other,” he told Al Jazeera. In addition to the continuing threat of armed conflict, the proposed Hatgyi hydropower dam, located on the Salween River in southern Mutraw, would, if completed, flood the area. The project stands to displace thousands of people, but most of the more than 1,300 megawatts of electricity it is expected to produce will go to neighbouring Thailand. Those committed to the Salween Peace Park say international support for the initiative will be crucial to ensuring its success as a way to build peace in the country. Do reports on atrocities serve any purpose?